Petwholesaler is an online B2B distributor for Wholesale Aquarium PH Adjusters. we provide services across the US with the best price in the market. Carbonate Salts Designed To Enhance The Natural Environment Of Cichlids By Increasing Hardness, Buffer Capacity and Ph. A Non-Phosphate Buffer To Lower Ph. May Be Used To Safely Lower Ph In Marine Water. • Makes Other Conditioniny Unnecessary. • Adjusts and Stabilizes Ph Levels. • For Use In Freshwater Aquariums Only. 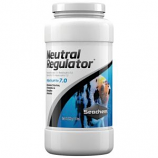 • Adjuster and Stabilizer For Ph Levels. • Lowers Ph and Makes Water More Acidic. • Fast-Acting, Colorless, Easy To Use, Will Not Cloud Or Color Aquarium Water. • Raises Ph and Makes Water More Alkaline. • Fast Acting, Colorless, Easy To Use, Will Not Color Or Cloud Aquarium Water. • This Product Will Raise The Ph Level. • Fast, Colorless, and Odorless. • Do Not Raise Ph By More Than 0.2 In Any 24 Hour Period.